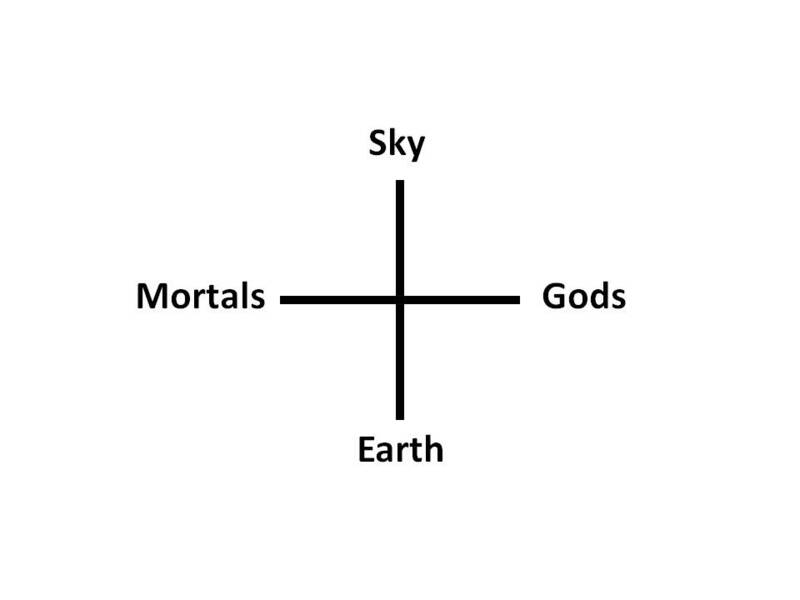 Note that Heidegger’s Fourfold is a perfect schema for the Tower of Babel: while mortals strive to join the earth and sky, the gods undo their efforts by turning their unity into multiplicity. 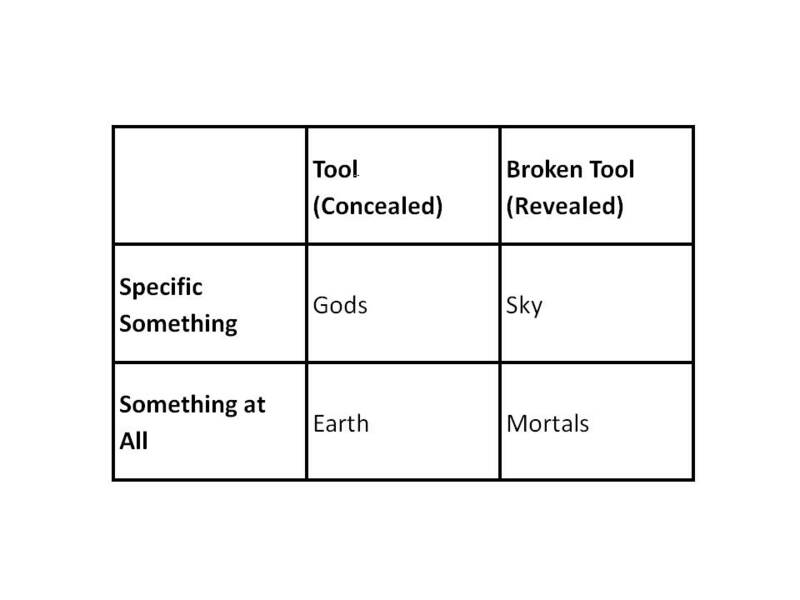 This entry was posted on May 4, 2010 at 9:18 PM and is filed under Graham Harman, Heidegger, Metaphysics, object oriented philosophy, ontology, Philosophy. You can follow any responses to this entry through the RSS 2.0 feed. You can leave a response, or trackback from your own site.